She came to life when I wanted to revenge myself on some guys at school who had been really stupid during sports. 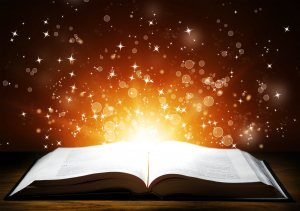 I sat in the back of the class room – desperately yearning for magical powers. Back then I felt so different from everybody else. I felt like an alien who went to school with earthwalkers, and the earthwalkers didn’t even realize I wasn’t one of them. I somehow knew that I was offbeat, not fitting into the pattern everybody else seemed to follow so naturally. Parts of me wanted to be like everybody else, but at the same time I desperately wanted my uniqueness to be confirmed. Confirmed it was – but only through my blue hair and the daydreams about Ane. I was sixteen the first time she popped into my mind. In the beginning she was my angel of revenge – someone who would carry out mischievous deeds that I couldn’t and wouldn’t. She would control people with her mind and she would influence how they felt. With a single gaze she could make her classmates feel either happy like daisies or utterly miserable. 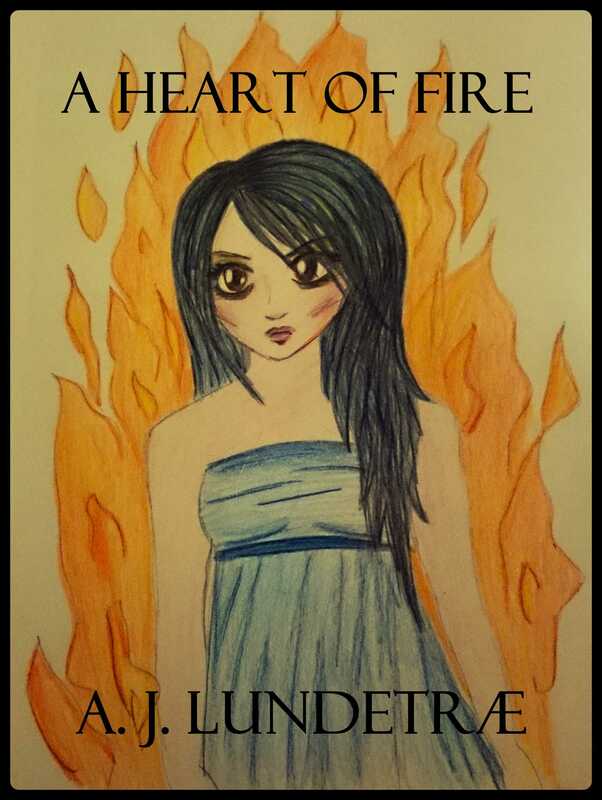 When I was twenty-three, I decided to turn my vague construct of Ane into the fully developed protagonist of a preciscly constructed and carefully planned YA fantasy series, A Heart of Fire. I wrote a ten page description about her character and wrote down the first outline of the first three novels. I learnt not only how she dressed, but also which traumas she has suffered and what her biggest fears and dreams are. We grew even more intimate when I wrote the first version of the first book and had to describe her longings, her aches and her fights, her moments of bravery and of utter loneliness. Sometimes she disagreed with my original outline, showing me how the story needed to be for her to play along without a fuzz. We quarreled. She won. I got to know my main character, and all the other ones, so well that they could show me how the story needed to be. Every time I read a book that I loved, she grew more and more real, as I learned to describe her better. Her already sarcastic humour grew black. I could suddenly smell and feel her surroundings. She grew fiercer. 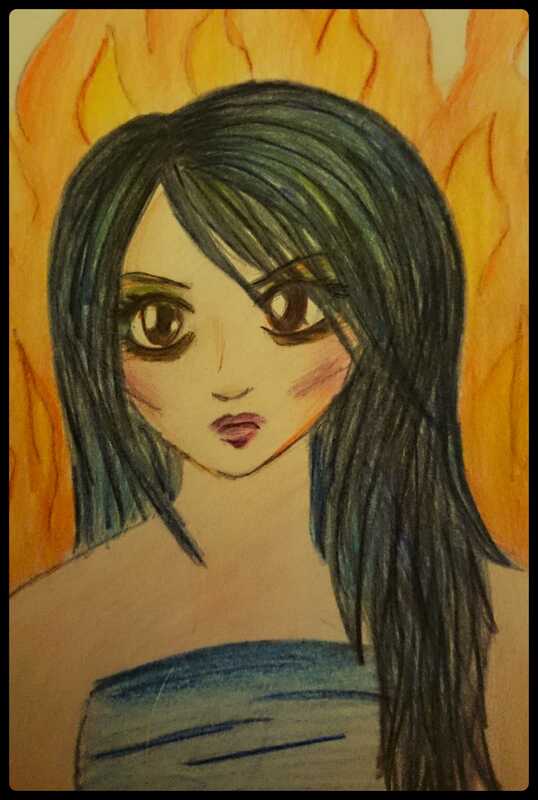 Her abilities to control fire made her glow. Then I drew her. I thought about every feature that she had in my mind. A heart shaped face, long, shiny, black hair, dark brown eyes, a round but narrow mouth. And although it is the anime version of her, for the first time I see her visually in front of me. 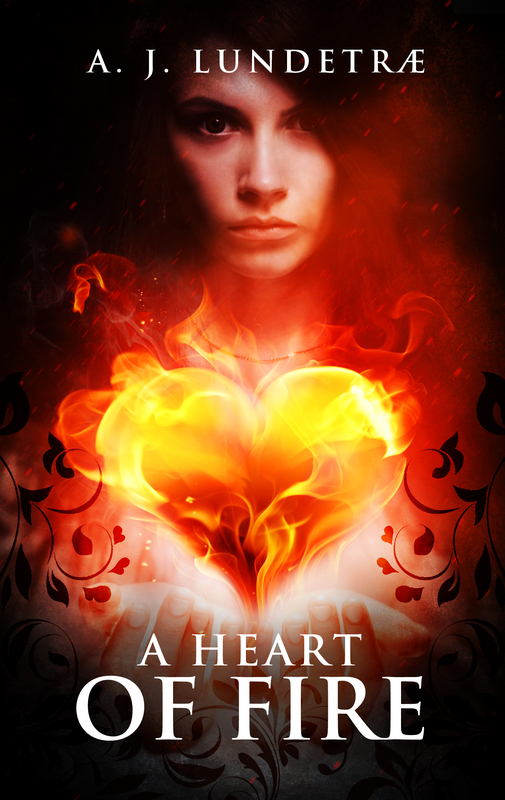 In the first book Ane discovers her magical powers and needs to learn how to live with it and how to control them. One of my favourite parts was to ponder: If I suddenly discovered that I had magical powers… Would I really be the hero trying to save the world? Or would I rather be the villain – and use everything I learned for my own good? This is one of the issues Ane too has to figure out! I wrote about Ane last weekend and when I got back to work this week my colleagues told me I was glowing. What a compliment! Ane Jørgensen stretched out her right hand, let it fall, then reached out once more, before she finally rang the door bell. Follow my progress on my blog, Twitter account and Facebook page to find out! Please let me know if you have any questions, I’d love to get in contact with you! Have a magical, glowing day! Sounds really I intriguing. Love the idea that you have known this character since you were young. She sounds like a great character. I tend to hit google images for collecting potential character photos as drawing would mean I’d have to learn how to draw first. For my two protagonists in the novel I am working on, during the research I did (and still doing), I had only a rough idea who they were, so looking at hundreds of photos helped to pin down my initial rough thoughts and then it became easier until I found just the perfect photos (well as perfect as is possible). Then of course it was their unique voices but that is generally happening through writing as trying to create character sheets out of thin air just doesn’t work for me (I am the “fill the character sheet after the character is alive on pages”, type of writer). Still on initial stages and outlining next to writing so their voices are work in progress. I agree that one also has to write about the characters, try out how they say things and how they answer, how they behave, to fully get to know them!